We found this recipe on Homemade Hooplah. 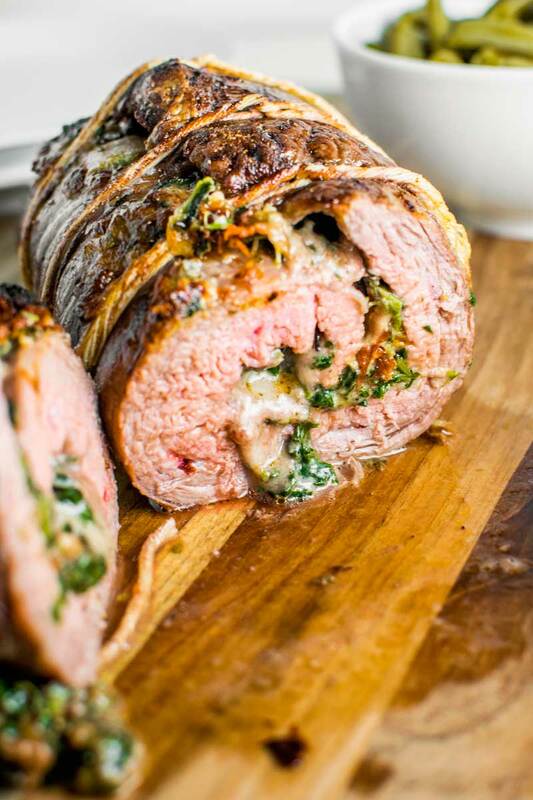 "Spice up your boring steak dinner by filling a fine cut of meat with spinach, mozzarella, and sun dried tomatoes. It's easy to tailor to your tastes, too!" This recipe is from Add a Pinch. "This honey, soy, garlic, and ginger marinade is delicious with ribeye, flank or skirt steak! Skirt steak cooks quickly, making it perfect for a weeknight, or weekend favorite! Skirt steak is a long, lean cut of beef from the chest and underbelly of the cow. It has a more pronounced beef flavor than flank steak and takes well to marinades." Place the skirt steak into a 13x9 baking dish or into a thick zip top bag. 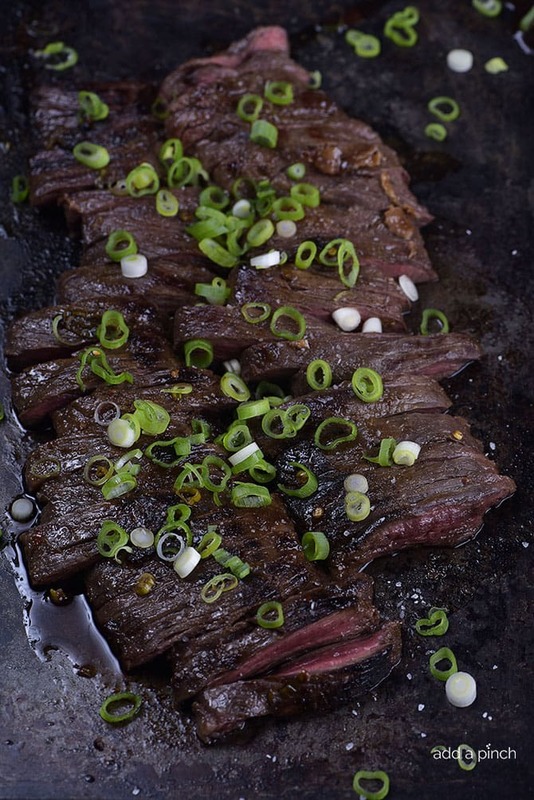 Combine 1 teaspoon of the olive oil, soy sauce (or coconut aminos), honey, red wine vinegar, crushed pepper flakes, ginger, half of the kosher salt, and half of the green onions in a small bowl or a measuring cup and then pour over the skirt steak. Cover the skirt steak with plastic wrap (or seal the bag) and refrigerate for 1 hour. Drizzle the remaining teaspoon of olive oil onto a grill pan set over medium high heat. Add the skirt steak to the skillet and cook for 3 minutes. Then, turn the steak over and cook for another 3 minutes. Remove from the skillet and slice the steak into 1-inch pieces. Top the steak with the remaining green onions and season with the remaining kosher salt and serve. This recipe is from GimmeDelicious. 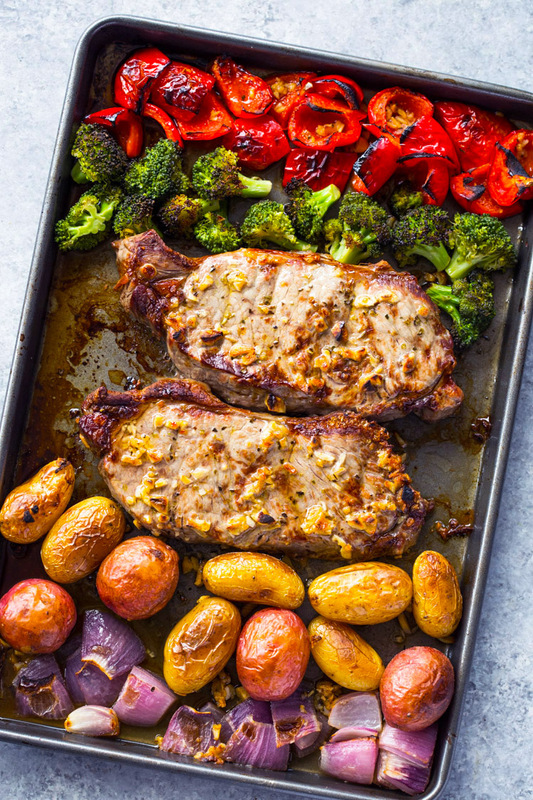 "This sheet pan method makes cooking steak so much easier and quicker. You can cook the steak and all your favorite veggies in one pan. We don’t use the oven itself to cook the steak but the broiler as the primary heat source. Think of it as grilling but upside down. Because broiler tends to cook food very quickly, you will only need to cook the steak for just 4-5 minutes per side."